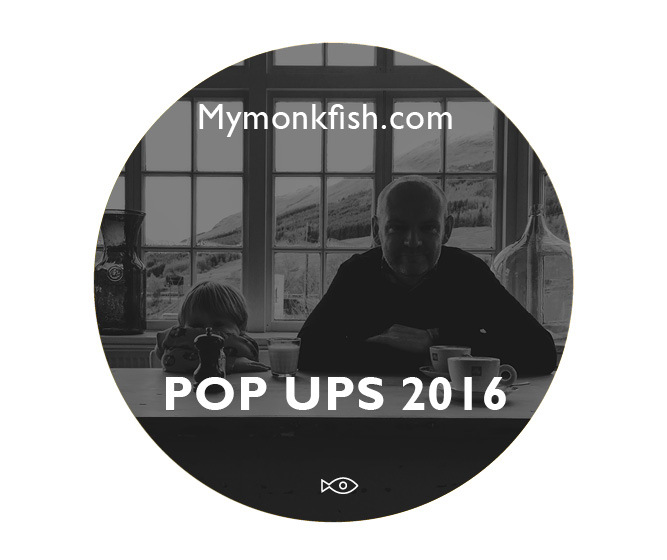 EDINBURGH POP UPS 2017 | mymonkfish - Food and drink news, Edinburgh, Scotland and beyond. It’s been all go in the world of supper clubs in Edinburgh over the last few years. There was a real ‘movement’ a few years ago which inspired us to go and visit all of them (well, nearly all) and keep listings of them so that you could go to them too. All of the original ones that we visited have sadly closed but a lot of their founders have gone on to bigger and greater things. Charlie & Evelyn for example have been to London to gain chef/cooking experience and have literally just this minute moved back up to Scotland to open a cook school in Perthshire, exciting times. So, as well as featuring ‘supper clubs’ in their original format here’s an up to date list of ‘pop-ups’ and ‘dining experiences’ that you really should seek out if you’re looking for something a little bit different. Yep, communal dining is still the key amongst all of them but there’s a few new places to go now where you really can experience something very different. The first two on the list have set the bar in our opinion, the Edinburgh food scene is on the up, and up. Get in touch via our CONTACT US page. With its food roots firmly in Scotland the Edinburgh Food Studio is what this city has been waiting for. Set up and run by Ben Reade and Sashana Souza Zanella they make their own ‘everything’. Whole carcasses are used, recipes created from in depth research, sustainability is high on their agenda, they work with everyone from foragers to fishermen and have access to the rarest of ingredients. Guest chefs make regular appearances and the studio provides the most amazing opportunities for it’s guests to eat something very different. We’ve been, it’s very exciting, we love it. Events HERE. Get booking. This summer MILK are hosting five unique dinner gatherings at Jupiter Artland, sourcing the best local and seasonal produce and making use of the wild and cultivated ingredients from the 100 acre estate. Each evening a five course dinner will be served in the Proposal Room and courtyard with the wonderful sculpture gardens as a backdrop. For more information and to buy tickets click HERE. It’s street food, it’s gritty, it’s in Leith, what a winning combination. Expect the best street food vans that Edinburgh/Scotland has to offer at the monthly ‘pitt’, you can eat pizza, drink booze, warm yourself around the fire pits, chat amongst friends, hang out, listen to music. Great vibe, open 12 noon until 10pm, very family friendly during the day. Take the kids (or not!) and get stuck in. Currently running weekly up until Christmas. Yes, it’ll be cold, but wrap up and warm yourself with a hot toddy while you’re eating your scran. Everything you need to know is on their Facebook page HERE. Kitchen East is a moveable kitchen creating fresh, vibrant and carefully considered food for a wide range of events. Currently based under the same roof as Century General Store (one of our FAVES!) in the east of Edinburgh but providing food for weddings, parties and special events across the city and in more remote parts of the country. Recent ‘Brunch’ pop-ups at Century General Store have been a sell out so they are certainly ones to watch. Follow them on Instagram to see some lovely pics and see what they’re up to. Email hello@kitcheneast.com to discuss catering too. 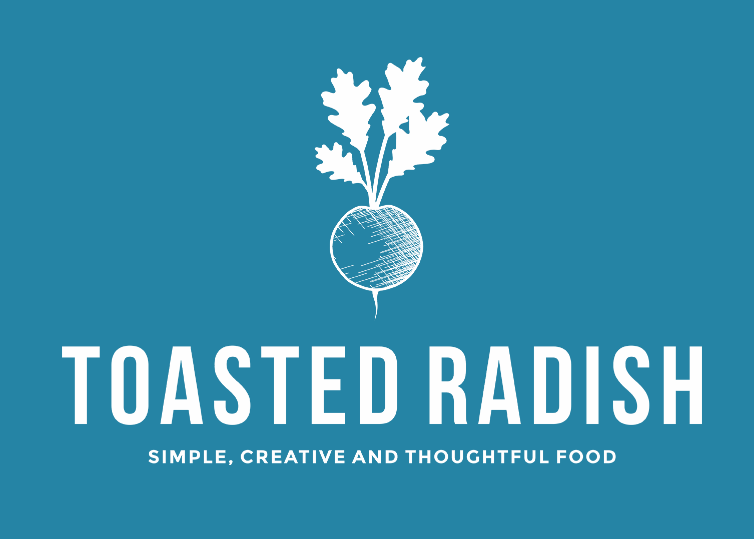 Hot off the proverbial press is Toasted Radish, based ‘a short walk north of the city centre’ who offer supper clubs, bespoke event catering for private dinners, weddings and more. Recent dates at Century General Store have been SOLD OUT so make sure you book your tickets soon! Simple, creative and thoughtful food is promised. Supper clubs are priced at £30 pp and are BYOB and all of the upcoming events are listed on their website HERE. Get to it! Says Amanda “Mad March Hare is a dining experience with a difference, popping up in the most unusual places and spaces where you will dine on a feast of rustic, nourishing food focusing on the absolute best available at the time, we will also surprise and delight the creative you by adding special touches throughout the evening. Each event that we organise is totally unique, and therefore you never know what to expect! We are currently popping up at Steampunk Warehouse in North Berwick just outside Edinburgh every last Saturday of the month , showcasing unusual cuts of beef from the renowned Gosford Bothy, BBQ’d Argentinian style., Smeaton Tea Rooms & Tyninghame Hall. We are also on Facebook @ Mrs Hare & Mr Heath. 2017 promises to be an eventful one for MMH as we have just acquired land and will be opening our first permanent home. We will be focusing on foraging and growing workshops and there will be pop up’s Seasonally and other exciting foodie adventures! Food style –Modern Scottish ?? Food is sourced as locally as possible. They have a direct relationship with suppliers. They forage a lot and grow much of what they use in various nooks and crannies around East Lothian. Expect venison , lobster, and hare. Birch syrup , sap wine and caramels . ( They like birch! ) Home grown , home made miso. Seaweed , wild herbs fruits and flowers and things served on sticks. Anything they can find on their doorstep really. Proper Scottish cooking . Table style – communal, round one long table. Future – trying to make the leap from day job to more of the good stuff. More dinners in more , crazy locations. Alright Treacle was originally founded by Anna Hamilton as a way of theming dinner parties. It aims to bring like-minded people together to date, network, socialise and most importantly – eat! It is a creative outlet to express a love of cooking, entertaining, performance and art. Alright Treacle ran in Edinburgh from September 2014 until December 2015. Anna has now moved to New Zealand and hopes to re-open the Alright Treacle doors down under. Keep up to date via her website. month. Check the website for forthcoming dates. Using local produce with the odd Scandinavian influence you can expect 3 courses, canapes, coffee and the suggested ‘donation’ is £30. In the middle of the East Lothian countryside and worth seeking out for its amazing Supper Club is the Archerfield Walled Garden. Head Chef, Richard Wire, prepares a delicious supper menu for you on the last Saturday of every month using only the best local produce and gathering a cornucopia of tasty delights harvested from our very own Walled Garden. For more info sign up to their newsletter or check out their Facebook page. £30 per person, reservations essential.